This is a Text Recipe, not a Video. Due to commitments on home front and paucity of time it is becoming difficult to make videos of all known recipes. If I have to make a video only before I’m to share these recipes, it is likely to take considerable time. Meanwhile there is also an urge to share these recipes for the benefit of my viewers. 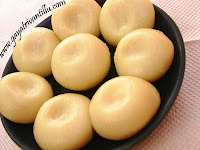 These recipes are prepared, perfected and tasted at home. Hence they too carry the same commitment and conviction as in videos, while I share them with you. As and when these text recipes are converted into videos, the above photo graph would be replaced with its video. Enjoy!!! Wash the three dals and add 3/4cup water. Place the dal bowl in pressure cooker and cook on high heat. After the first whistle cook dal on low heat for 10 minutes and switch off the flame. Allow the pressure cooker to cool down and then take out the dal bowl. Mash the dal and keep it aside. Wash green chilies and cut each chili into 8 long pieces. Break each red chili into 2 pieces and keep them aside. Grate garlic using small holed grater and keep it aside. Heat a pan and add ghee. When ghee is hot add cumin seeds and allow them to splutter. Add red chili pieces and green chili pieces and fry till green chilies are slightly crisp. Then add asafetida and grated garlic and fry. Fry the seasoning till garlic starts changing color. Now add the cooked and mashed dal and mix well. Add red chili powder, turmeric powder and required amount of water and mix. Add salt and mix and check the seasonings. Cook covered on medium flame till it becomes slightly thick. Add cream and mix well. Again cook covered for 2 minutes. Mix and check the consistency. Add water accordingly, if required. Add half of coriander leaves and mix. If water is added allow the mixture till it reaches a boil. Then switch off the flame and add lemon juice and mix well. Transfer the prepared dal into a serving bowl and garnish with remaining chopped coriander leaves. Serve hot with hot plain rice or jeera rice along with a roasted papad if desired. Cooking dals in pressure cooker gives a nice texture as we need to cook dals till fully soft. If time permits one can even soak the dals for 20 to 30 minutes for fast cooking. After cooking dal in pressure cooker, do not put the pressure cooker under tap water to cool it down, instead allow the pressure cooker to cool down on its own as it acts as a standing time. To spice up the dal do not increase the amount of red chili powder as it would change the color of the dal, instead increase red chilies and slit green chilies to spice up the dal to maintain the color. 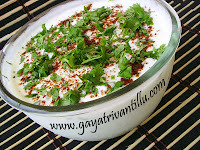 Adding cream to the dal gives a smooth texture and a pleasant taste (KAMMANAINA RUCHI). Amount of ghee added for seasoning is also more but as the name suggests it is a nawabi dal and it requires that much quantity. This dal tastes good with jeera rice---as accompaniments, it can be served with a roasted papad and some pickle. However this dal tastes good as it is ---so serve with jeera rice or plain rice---but serve the dal piping hot---then only it tastes good. Also remember that the consistency of the dal should be slightly watery. On cooling, the dal thickens so serve it piping hot to enjoy. At times we would like to host our family members with exotic food for weekends yet we do not feel like making it too spicy and elaborate---in such cases this Nawabi Dal recipe with Jeera Rice is the perfect choice.